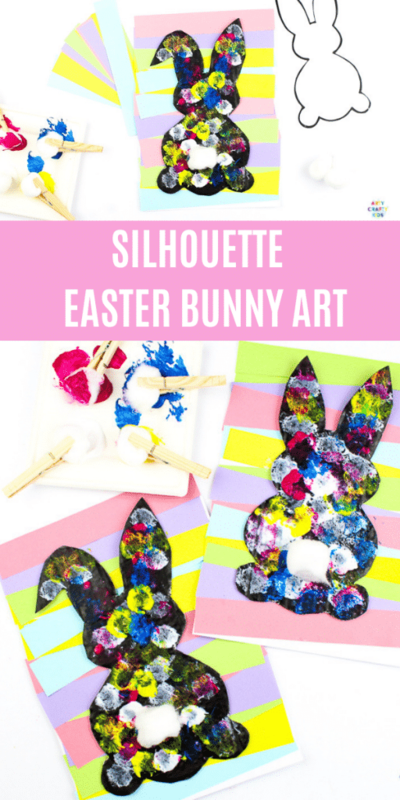 This adorable Silhouette Easter Bunny Art Projects takes the ‘cotton tail’ variety of bunny rather literally; exploring a fun and interesting painting technique – printing with cotton balls! 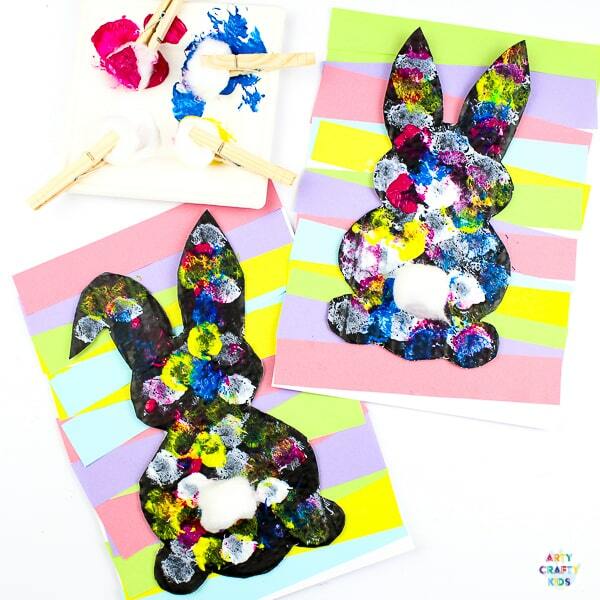 With a choice of two Easter Bunny Templates, Arty Crafty Kids can let their creativity run free to create a layered and dynamic work of art. 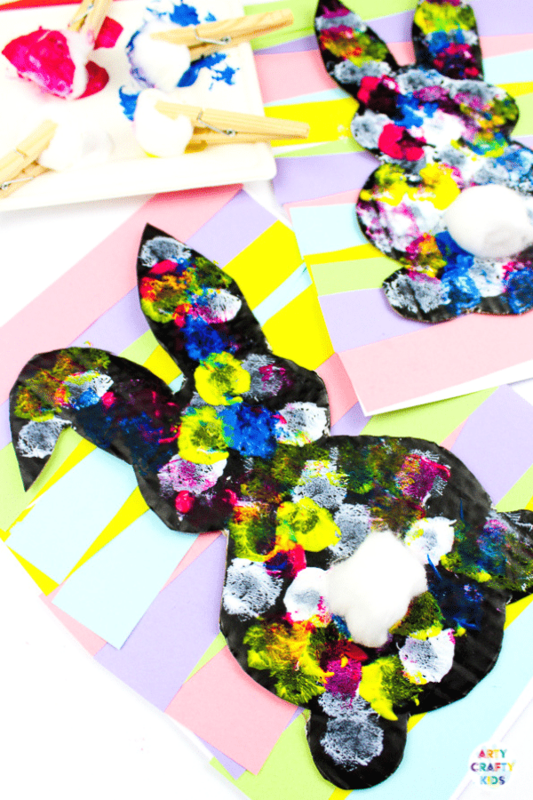 The Easter Bunny templates are exclusively available to Arty Crafty Kids Club members. 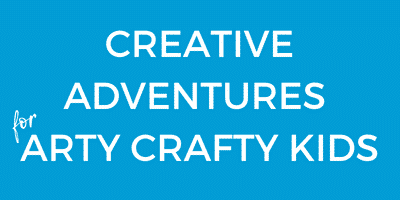 Using a paper cutter or scissors, create 10 or more strips of paper – vary the widths of the paper and colours. 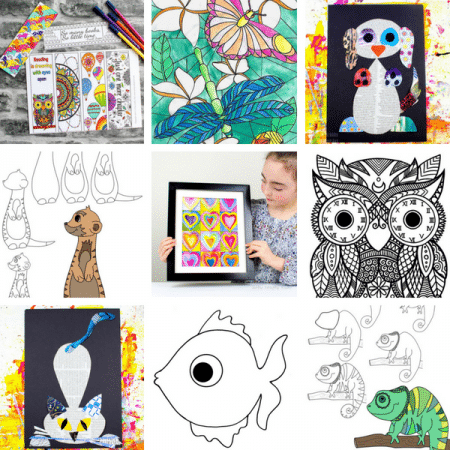 Here, we’ve opted for pastel shades of yellow, blue, pink, purple and green, which are perfect for Spring and Easter themed arts and crafts. 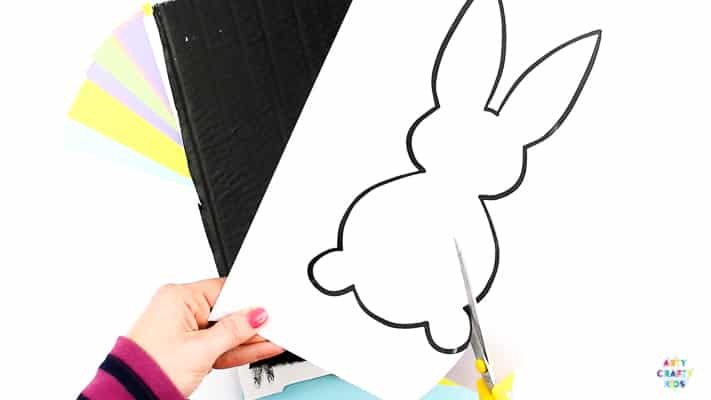 Download and print the Easter Bunny Templates onto white paper. 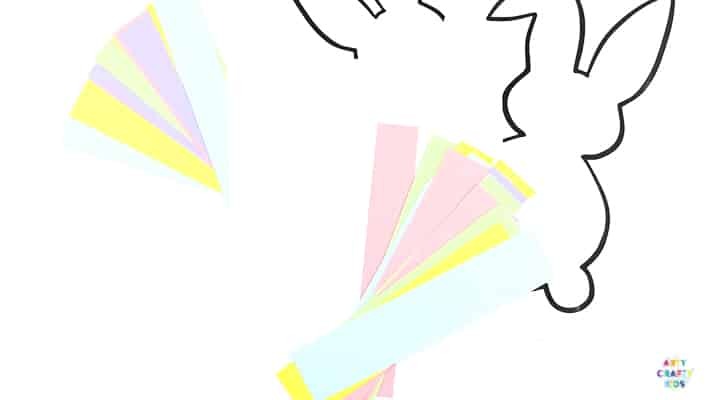 Starting from the bottom of the page, begin filling the surface of the white card stock with colourful strips of paper arranged in stripes. 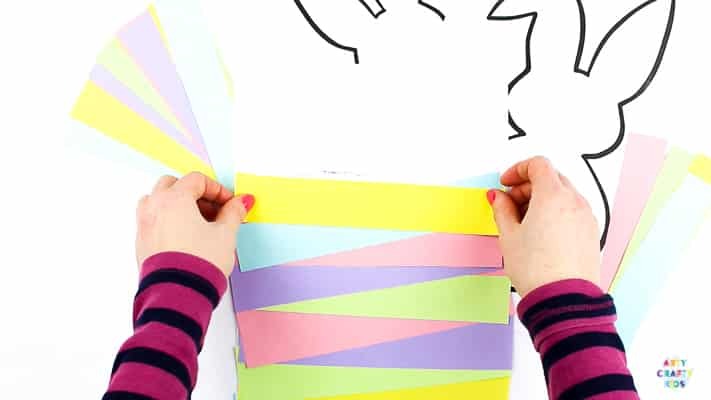 Arty Crafty Kids can create patterns, zig-zag the strips of paper ( as we have in this demonstration) or cut the paper into smaller parts to create a ‘stained glass’ effect. Continue filling the white space until the surface area is full. Take a piece of scrap cardboard from a box and paint the surface black. 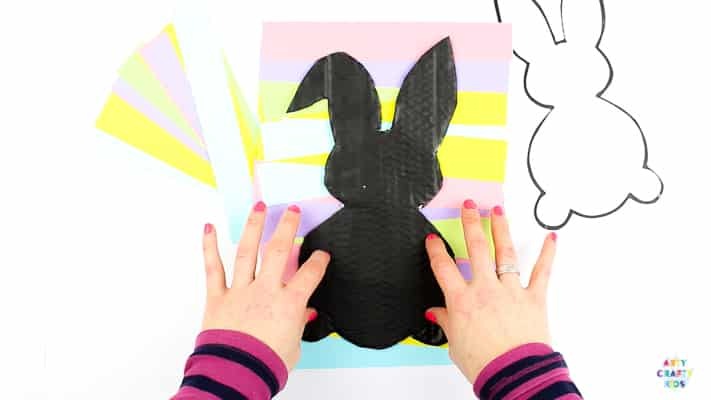 Cut out an Easter Bunny Template and trace around its silhouette onto the dried black cardboard. Cover the unpainted side of the silhouette with a generous helping of PVA glue. 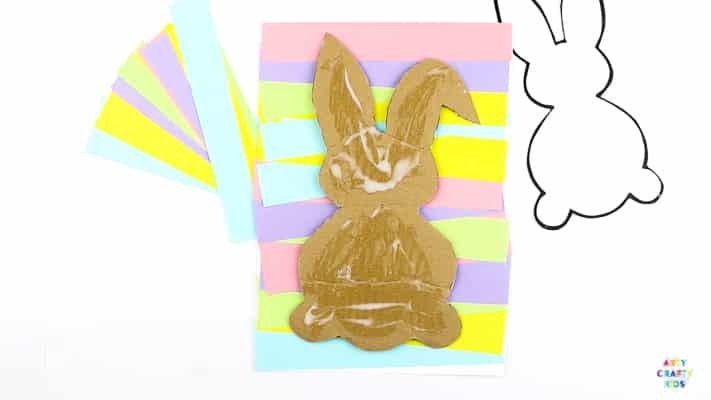 Glue the cardboard bunny to the layered paper background. Place a single cotton ball into a clothes peg and create one ‘cotton ball brush’ for each colour. 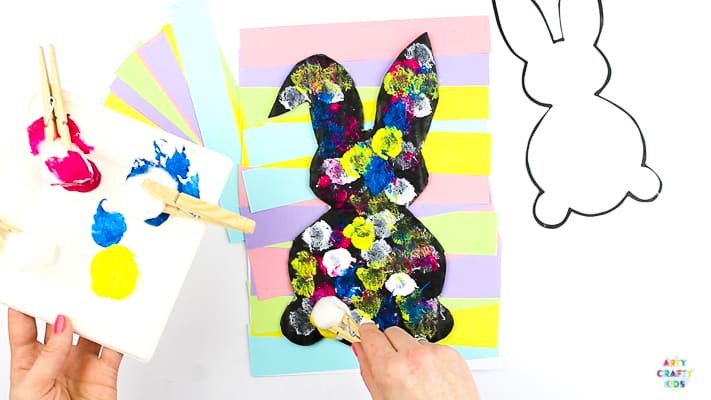 Dip the cotton ball directly into the paint and print the Easter Bunny Silhouette. 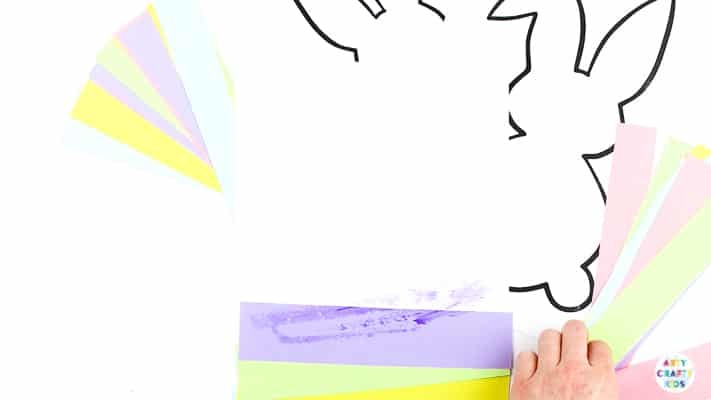 TIP: Start with the white paint and layer colours on top, this will enhance the additional colours against the black. 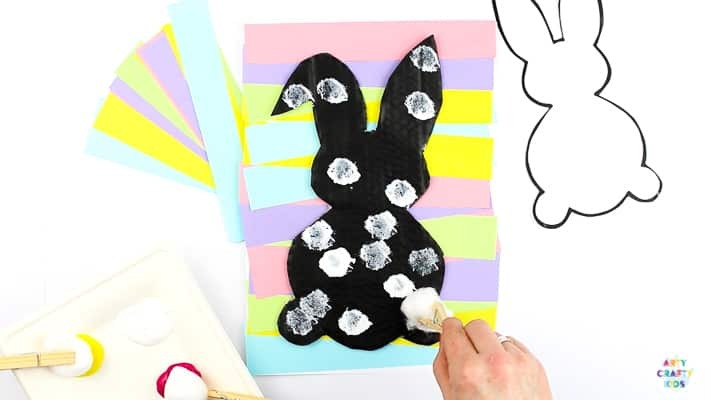 Complete the Silhouette Easter Bunny Art Project with a cute ‘cotton tail’ – a single cotton ball! 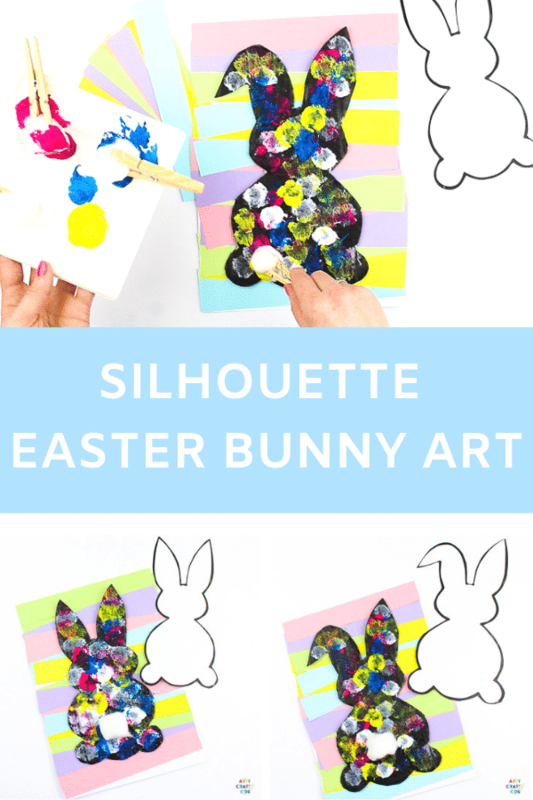 Take a look at another Silhouette Bunny concept and easy peasy Circle Art Easter Egg Activity.